Eloise Poole is a Senior Researcher in the Children and Young People team and currently works on quantitative and secondary analysis projects. She has a long-standing interest in family policy, especially concerning family structures, maternal employment and the gendered division of labour at work and in the home. Eloise is currently working on an ESRC-funded study 'Fathers, work and families in twenty-first century Britain', which explores fathers' role as breadwinners and parents in the UK and Europe. She also works on two evaluations for DfE looking at early education and children’s centres in England. 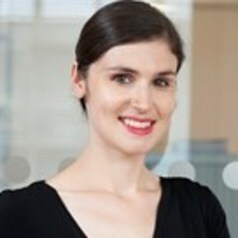 Her previous work includes a Nuffield Foundation funded study looking at the uptake of child maintenance among single parents claiming benefits, the study of maternity and paternity rights and women returners.